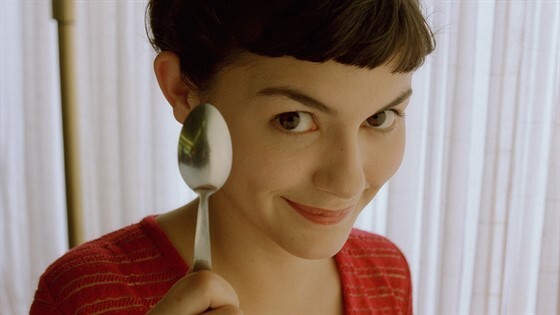 Spend Valentine's Day week with the fabulous Amélie Poulain in glorious 35mm. The apotheosis of early 2000s twee and the proto manic pixie dream girl burst off the screen with the beautiful and naive Amélie Poulain (Audrey Tautou). Oozing charm and inventive flourishes, this charismatic and off-beat romantic comedy is director Jean-Pierre Jeunet at his most playful. In modern day Paris, Amélie balances her waitressing job with a desire to help those around her through unnecessarily elaborate schemes. When she decides to focus on her own life for a change, she begins a game of cat and mouse with an equally eclectic soul (Mathieu Kassovitz of La Haine) in an attempt to return his precious album of pieced together photos. Amélie exudes a genuine warmth and cheeky humor throughout brought to life on a glorious 35mm print.